Have you ever heard of YoDerm? 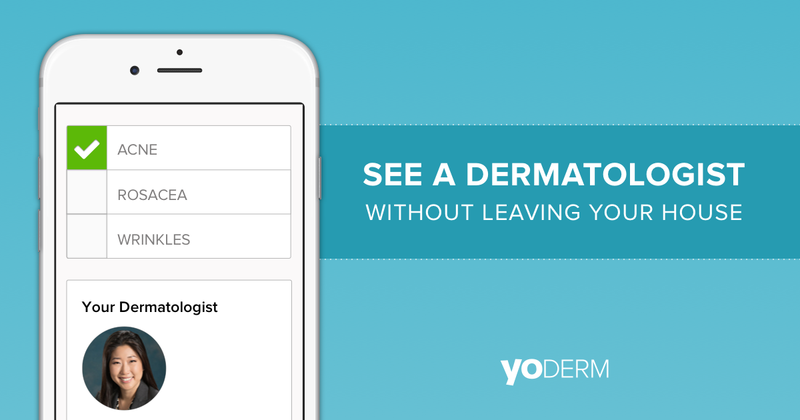 YoDerm is a website that provides online consultations with U.S. board-certified dermatologists. 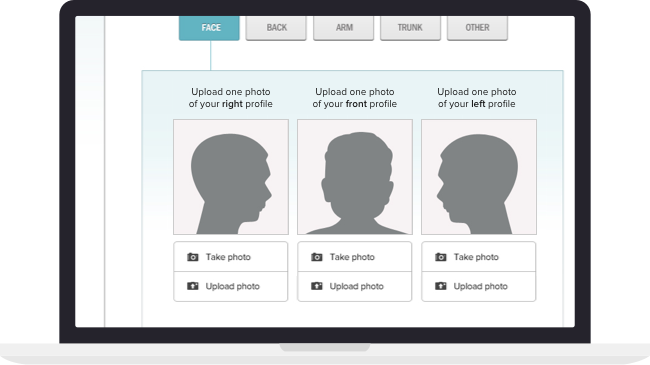 Your assigned dermatologist uses photos and other information that you provide to create a personalized treatment plan entirely online with no in-person office visit required. YoDerm recently contacted me about providing my honest review of their online consultation process. Initially I was unsure how much help I could be since I have never suffered from acne, but I was surprised to learn that YoDerm is also available to those suffering from rosacea and wrinkles. What 30-something year old woman isn’t concerned about wrinkles? I decided to take the plunge! Initially I had planned to take the consultation on my laptop from the comfort of my couch but I stopped myself. I felt like if I was going to give a review on the convenience of using YoDerm I was going to make it interesting… You want to know where I did my consult? I took my consult at the outlets while sitting on a bench waiting for my sister to check out at a store. I felt like this needed to be realistic and while some of you might be wondering how realistic it is to want to take a consult while you are out shopping let me explain it to you quickly: I’m a very busy mom of three. Sometimes I go through my to-do list while I’m in the shower and other times it hits me like a ton of bricks while I’m out and about.. like shopping with my sister. When that happens and I’m able to cross something off my to do list at that moment, I do it! So here I am sitting on a bench at the outlets doing my online YoDerm consultation. It was surprisingly VERY user friendly via my iPhone – they make it very easy to navigate and there is no question about whether or not you’re filling everything out correctly or not. Not only was it easy to complete my consultation over my iPhone but it was also fairly fast. I’d say I was just under the 10 minute mark and that included taking a few selfies to upload to the site. I submitted my online consultation around 11:30 and was surprised to have a message waiting for me from my assigned dermatologist just a few hours later. I had noted in my consult that I am nursing and she wanted to confirm this before prescribing me any treatment. This always makes me very happy because I’m so weary about using any product or taking any medication that could interfere or possibly be transferred to my little guy. I didn’t get to responding to the email until the next morning and again was surprised by quick turn around in the response time. All in all I’d say that my experience using YoDerm’s online consultation was great. Super quick and very easy, something definitely worth considering if you are in the need of a dermatologist without the fuss of waiting for an approved referral from your doctors office, or any wait for that matter. Interested in trying out YoDerm for yourself? 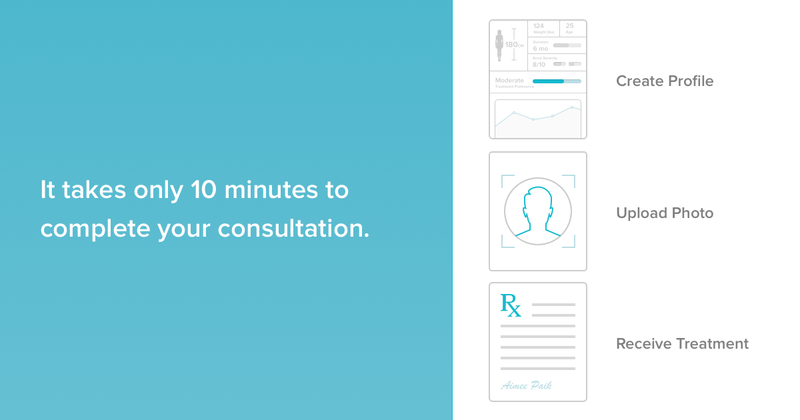 Click here to receive $10 off your consult! I received the mentioned consultation in this post free of charge in exchange for an honest review. As always all thoughts and opinions are 100% my own. Wow that's quick and easy! Anything that I can do on the go gets extra points from me! I could also use some wrinkle cream. Gravity and aging are no joke. Yes! So fast, quick and easy! And shut it girl, you look amazing! Oh my gosh! I keep saying I need to go to the Dermo but getting there is such a hassle! This is awesome! Gosh as soon as I turned 30 (and had kids) my skin has taken a beating! Wrinkles AND sun spots. Thanks for this post!! Oh I need some skin love! Sold!!!! I'm trying this out for sure! This sounds so cool, I want to try it for sure. I hate waiting at dr's offices! Wow, this is AWESOME! I need to get into the dermatologist, but it's such a hassle with my insurance! Do they also do mole checks and stuff, or more cosmetic?